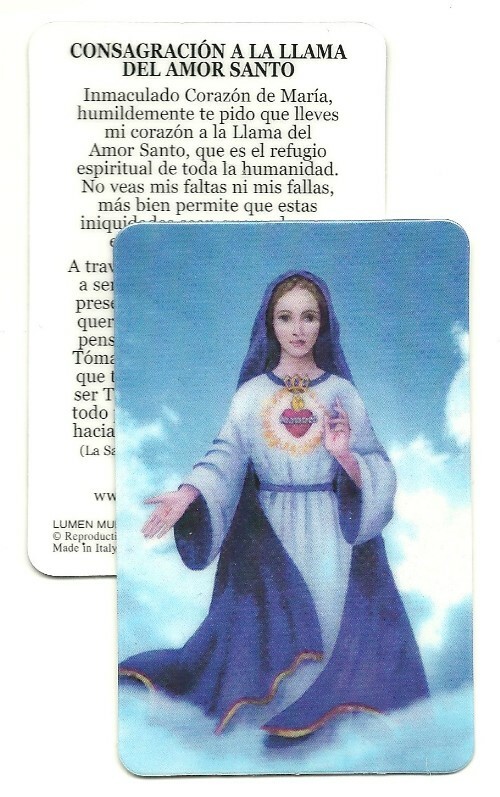 Spanish Prayer Card Laminated 5 Pack: Mary, Refuge of Holy Love with "The Consecration to the Flame of Holy Love"
Prayer Card 5 Pack: Prayer - Consecration to the Flame of Holy Love IN SPANISH with Mary, Refuge of Holy Love image. 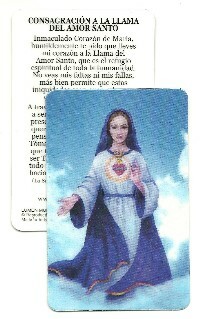 Mary, Refuge of Holy Love, Pray for Us that is your protection and your defense. Dear children rely on the Image of My Heart that reminds you of this certain Refuge. 4-color image on the front; 2-sided.